The drink has espresso, steamed milk, flavors of graham and sweet cream. It's topped with cinnamon graham crumbles. Customers can start ordering the drink in the U.S. and Canada starting Wednesday. The company said the offering is perfect for those looking for a "less indulgent, more coffee-forward latte" and is the first new fall drink in four years. The inspiration for the new flavor came from the bottom of a bowl. "I thought about the back-to-school season and looked at the latest food and beverage trends," said Starbucks (SBUX) Beverage R&D Manager Yoke Wong, in a press release. "What I found to be quite popular in the U.S. is the taste of cereal milk, the delicious leftovers in your breakfast bowl." A 12-ounce Toasted Graham Latte with 2% milk has 230 calories, 7 grams of fat and 31 grams of sugar, according to the company's website. 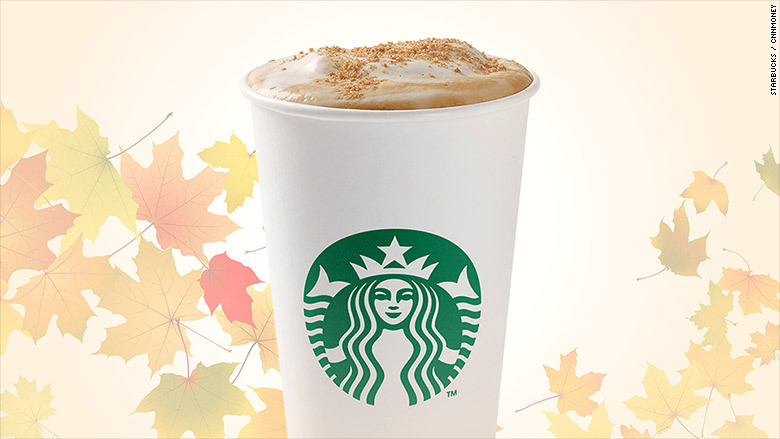 A 12-ounce PSL with 2% milk -- and no whipped cream -- comes in at 240 calories, five grams of fat and 37 grams of sugar. The coffee giant's PSL, which was created 12 years ago, is its most popular seasonal beverage and now contains real pumpkin and no caramel coloring. It became available to all drinkers on September 8.